Decisive participation in the aquisition and turn-around of Unicontrol, made by Fitolog in 2012. Awards: Top 3 most innovative small enterprise of Sebrae/CNI for Unicontrol, in 2014. UFRGS recognition award in 2011 for representing the University in Europe during the job as ambassador for brazilian Junior Enterprises. Reading, watching TV series, volunterism in politics (co-founder of La Banda Loka Liberal and volunteer at Partido NOVO). 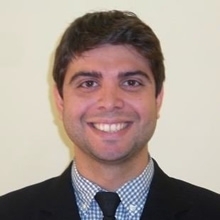 Bachelor in Management and finishing Financial specialization at UFRGS in 2016, Marketing/Commercial Director of two companies on Ambiental Services (Fitolog and Unicontrol), Co-founded EA Alumni (Management School Alumni Association), former ambassador and project manager for Brazilian and European Confederations of Junior Enterprises. Volunteered as Consultant, Manager and President at PS Júnior, a Business Consultancy Junior Enterprise. Bachelor in Business Management at UFRGS. Finishing specialization in Finance at UFRGS in 2016. Nobel Prize economist Angus Deaton said “Economic growth is the safest and most permanent solution for poverty". For this growth to happen, capable business leaders and entrepreneurs are mandatory. But how to have them with an educational system that is struggling? Apollo, named after the Greek God of Light and Knowledge, wants to help addressing this issue.